The Anasoft Litera literary award belongs to the most prestigious literary awards in the Slovak Republic. It is awarded for the best original Slovak prosaic work yearly since 2006 that was published in the previous calendar year. Its goal is to increase the awareness on original Slovak literature, to motivate the authors, to inform readers and to support publishers, booksellers and librarians. Into the competition every bookish prosaic work of a Slovak author is automatically nominated written in the Slovak language and published in the particular year in the first edition. In the first round the jury, stated by organizer of the literary award, chooses ten finalists (ten final books the jury declares at the beginning of April), in the second round it will choose the winner of them. The jury is altered every year. The ars_litera civil association is organizer of the Anasoft Litera Award, the Anasoft company is the general partner which awards it. The association organizes also the Anasoft Litera literary festival and also author´s readings in cooperation with regional libraries and institutions. This prize for significant edition act is awarded by the Association of Publishers and Booksellers of the SR since 2009 and it is handed-over at the Bibliotéka International Book Fair in Bratislava. It is awarded in memory of former president of the Association of publishers and Booksellers of the SR.
Association of writer organizations of Slovakia, associating six writer´s organizations, awards the main Prize of Association of writer organizations of Slovakia yearly. The individual member organizations award their annual prizes and premiums: Prize of independent writers club, Prize of Slovak centre of P.E.N., Prize of Club of writers of fact literature, Prize of writer community of Slovakia; prizes of Company of Hungarian writers in Slovakia (Alfonz Talamon´s prize – for prose, Imrich Forbáth´s prize – for poesy, Lajos Turczel´s prize), Prize of Society of Ukrainian writers in Slovakia. Award of Bibliotéka is a remunerated literary prize awarded since 2007. It is awarded for the best original book work of Slovak woman author (prose, poetry and creation for children and young people) published in previous year. The works are nominated automatically. The specialist jury will choose ten books in the first round and from them the winning work then. The award is handed-over at the Bibliotéka International Book Fair in Bratislava. Since 2005 the Literary Fund awards the Prize of Alexander Pavlovič for the best literary work written in Ruthenian language (original, literary-historic or literary- critical work) and premiums of Alexander Pavlovič for literary work written in Ruthenian language and for translation of a literary work (of an artistic, literary-historic work of Slovak author) from the Slovak language into the Ruthenian language. The committee of section for original literature and the representative of the Society of Ruthenian writers of Slovakia award them. The prize and premiums are awarded for works and translations that were published in book in Slovakia in previous two years. The Dominik Tatarka´s award is considered for the most prestigious appreciation. Its origin was initiated by Martin Bútora, Martin M. Šimečka and Peter Zajac; for the first time it has been awarded for the year of 1994. It is determined to an author for an exceptional work which with its humanistic message ties up the intellectual heritage of Dominik Tatarka writer and dissident (* 14/ 3/ 1913 Drienové – † 10/ 5/1989 Bratislava). The main criterion for awarding the prize is societal and cultural meaning of the work and a high moral author´s credit. The prize is awarded for book (artistic prose, cultural and societal, literary, scientific and artistic or political essayistic genre) which was published in previous year. The Conservative Institute of M. R. Štefánik is guarantor of the award since 2000. The jury of Dominik Tatarka´s Award has permanent members and one member is altered – he is the Award laureate from previous year. The laureate will present a Tatarka´s essay at the ceremonial handover of award, the laureate from the past year will present „laudatio”. The laureates of Tatarka´s award are the most relevant personalities of our literary and scientific life. The significant architectonic award bears the name of the founder of modern Slovak architecture of Ing. Arch. Dušan Jurkovič (*23/ 8/1868 Turá Lúka – † 21/12/1947 Bratislava). The prize was awarded since 1964. It was substituted by the Award of Slovak architects in 1975 – 1988. The Society of Slovak Architects renewed the Dušan Jurkovič´s Award and it awards it since 1991. The prize is awarded to an author or author´s collective for an implemented architectonic or urbanistic work that contributes to an increase in level and prestige of architectonic creation of Slovakia. The Award of Dušan Jurkovič may be granted also in memoriam. 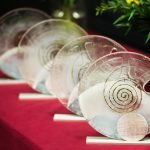 An international jury decides the prize award and nominations, one of its members is the last year´s laureate of the award (the author or one of members of author´s collective). The proposals for prize award are submitted by members of Presidium of the Society of Architects of Slovakia, by representatives of regions, creative associations, jury members and members of the Society of Architects of Slovakia. The notified works are presented at an exhibition which is organized by the Society of Architects of Slovakia. The prize is awarded in memoriam of Prof. Ing. Arch. Emil Belluš (* 19/ 9/1899 Slovenská Ľupča – † 14/12/1979 Bratislava) since 1990, of a significant Slovak architect educator and founder of Faculty of Architecture of the Slovak Technical University ( today). It presents a prestigious award for relevant, lifelong work in area of architecture, architectonic creation or of pedagogic, scientific and research activity. It awarded by the Society of Architects of Slovakia and Fund of Fine Arts, the presidium of the Society of Architects of Slovakia and council of the Fund of Fine Arts decide its award. The same creator may be awarded only once; the prize can be awarded also in memoriam. The proposals may be submitted by particular members or by member association of the Society of Architects of Slovakia. The laureate presents itself at a profile exhibition which is a choice of its lifelong architectonic creation. The Fine Arts Fund awards it annually to the authors for significant contribution in area of fine art and architecture. The prize may be awarded to the author only once. The Fine Arts Fund Council decides the prize award. A proposal for the prize award may be submitted by representatives of professional associations, societies and institutions and by individuals. The Fra Angelica Award is granted by Bishop Conference of Slovakia to the authors for their Christian contribution by means of their Council for Science, Education and Culture since 2003. The award is an expression of recognition of the Christian Church to the artists which assert in their creation Christian ideas and values. The Fra Angelica Award is granted in categories: literary art, fine art, music art, also extraordinary appreciations are awarded; the prize may be awarded also in memoriam. The ceremonial prize handover is carried-out on occasion of feast-day of blessed Fra Angelica (by the own name of Giovanni of Fiesole, * about 1387 – † 18/2/1455), of an Italian painter of Florence early Renaissance and a Dominican priest, of a patron of artists. The prize of Music Fund is awarded for an excellent interpretation performance in area of concert art to the individuals also bodies. It has been founded in 1964 in memory of Fric Kafenda Slovak composer, conductor, pianist and educator (* 02/10/1883 Mošovce – † 03/09/ 1963 Bratislava). The Council of Music Fund at suggestion of commission of concert artists decides its award. The Hašterica Quarrel being Award is a prize for a creative act in area of puppet theatre in Slovakia. Its mission is to appreciate noteworthy individual performances (screenplays, original theatre text, dramaturgy, direction, male actor´s performance, woman actor´s performance, stage, scenic music, costumes, puppets, choreography). In 2004 it was declared for the first time by Theatre Institution in Bratislava, civil association Crossroads and by UNIMA (International Puppeteer´s Union) Slovak centre. A specialist jury decides the prize award, it chooses from puppet stagings which had premiere in the period of two years between performing of Banská Bystrica festival in puppet theatres, respectively in further professional theatres and in independent ensembles in Slovakia. The award is handed-over at the „Puppeteer´s Bystrica” international festival of puppet theatre for children and adults. František Lipták scenographer is author of the Hašterica design of visual art. The prize is awarded at the Puppeteer´s Bystrica festival of the puppet theatre for children and adults for a creative deed in the puppet theatre for adults. An international specialist jury chooses its laureates. At the same time the award is an expressing of acknowledgement to Henryk Jurkowsky Polish theatrical scientist, theoretician and historian of puppet art. It is a special festival award granted at Art Film Fest MFF to the domestic and foreign actor´s personalities for an extraordinary contribution into actor´s art in area of film since 1995. The holders of it placed the brass plaquette on the Glory Bridge in Trenčianske Teplice since 2016 when the festival was transferred into Košice, into the Small River of Glory in city centre. Many personalities of our actor´s art are among the award laureates. In 2013 the Actor´s Award was granted for the first time in memoriam – to Július Satinský. 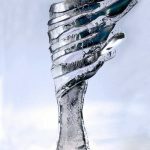 The Igric Award is the oldest film prize in the Slovak Republic; the extraordinary creative performances in area of film and television creation are awarded by it. For the first time the prizes were awarded in 1967, then in successive two years in 1968, 1969. With arrival of normalization the prize award has been cancelled, it was renewed only in 1993. The prizes and premiums are awarded by the Slovak Film Union, Union of Slovak Television Creators and by Literary Fund at the suggestion of specialist jury. The Igric Award is granted in these categories: feature film creation for cinemas, television, dramatic creation, film and television documentary creation (except for news service, journalism and magazines), animated creation, male actor´s performance in film or television work, woman´s actor´s performance in film or television work, for lifelong work in audiovisual area. Premiums are granted except for above-mentioned categories also in the category of remaining film and television creation and in the category of audiovisual theory and criticism. The awarded creators get the Igric statuette from Erna Massarovičová academic woman sculptor. The proposals for prize award are filed by producer´s subjects, committees and members of professional and artistic associations, by members of the competition jury and also particular creators may to register individually. Since 1967 the Literary Fund awards a prize for the best original literary work in the Hungarian language and for the best translation of a work from Slovak into Hungarian, for the first time published in past year. It is awarded by a committee for original literature at the suggestion of a jury composed of the representatives of the section for original literature and society of Hungarian writers in Slovakia. Since 1973 the Literary Fund awards a prize for the best literary works in the Ukrainian language and for the best translation of a work from Slovak into Ukrainian, for the first time published in past year. It is awarded by a committee for original literature at the suggestion of a jury composed of the representatives of the section for original literature and society of Ukrainian writers in Slovakia. The Ivan Krasko´s Award belongs to the oldest literary awards in the Slovak Republic. The Literary Fund awards this annual prize for debut in the Slovak language since 1955. It is awarded by the committee of section for original literature at the Literary Fund at the suggestion of jury composed of representative of the section for original literature, representative of Association of organizations of writers of Slovakia and of the Society of Slovak Writers. The age limit for authors is 35 years. The award concerns works of areas of prose, poesy, literary science, implemented theatrical, radio and television plays and literary screenplays of feature films. It is award within the Igric awards. It is a special prize of jury designated for young creators with less than 35 years in area of audiovisual creation of screenwriters, directors, cameramen, animators. It is awarded in these categories: feature filmic and television creation, documentary filmic and television creation, animated creation. This prize represents the highest award in the area of artistic translation in Slovakia. It is awarded since 1967. It is granted by committee of section for artistic translation at the Literary Fund at the suggestion of jury composed of theoreticians and critics of the artistic translation, of literary scientists, translators and editors. The prize is awarded annually for bookishly published translations of works of artistic literature that were published in previous calendar year. The prize is awarded in two categories: for the translation of poetry and versed drama and for the translation of prose, drama and essay. The prize may be awarded also to more translators for joint translation. Together with the prize also the Honour of Literary Fund to publisher of appreciated work is awarded. The jury may award certificate of merit and Literary Fund plaquette to the presenters from rows of foreign Slovaks which submit their works into the Slovak language and their translation are part of our national Slovak culture. This annual prize of Music Fund is awarded for a music work or creation enriching the Slovak music. It was founded in 1963 in memory of Ján Levoslav Bella (* 04/09/1843 Liptovský Sv. Mikuláš – † 25./05/1936 Bratislava) the Wieland smith opera of which is the first opera of Slovak composer. The prize may be awarded also in memoriam. The Council of Music Fund on the basis of suggestion of composer´s commission decides the prize award. The prize of the Music Fund for relevant musicological creation (scientific, publicistic or critic creation) was founded in 1991 in memory of Prof. PhDr. Jozef Kresánek, DrSc. Slovak musicologist and composer (* 20/12/1913 Čičmany – † 14/03/1986 Bratislava). The Council of Music Fund decides the prize award on the basis of musicological commission suggestion. It is awarded for concrete work or for lifelong activity, resp. for long-time scientific, pedagogic, publicistic, critic or organizational activity. The Music Fund awards this prize for developing the brass band music – to individuals (for composer´s, conductor´s, pedagogic and organizational activity) also to collectives. It was founded in 1991 in memory of Karol Pádivý composer of brass band music and conductor (* 10/09/1908 Dolní Cerekev – † 25/09/1965 Trenčín). The Council of Music Fund decides the prize award on the basis of suggestion of Association of Brass Musics of Slovakia. The prize is awarded for jazz music to the composers and performers, instrumentalists also singers. It was founded in 1991 in memory of Ladislav Martoník Slovak jazz musician (* 28/ 12/1944 Košice – † 22/08/1968 Košice). 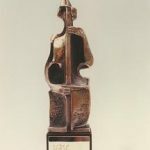 The Council of Music Fund decides the prize award on the basis of suggestion of Slovak jazz society. The prize is annually awarded by Fund of Fine Arts, Slovak section of IBBY and BIBIANA, International house of art for children for an exceptional work or creation which contributed significantly to the development of Slovak illustrative art for children and young people. The prize may be awarded also in memoriam to. It is awarded in memory of Ľudovít Fulla Slovak significant painter, graphic artist and illustrator (* 27/02/1902 Ružomberok – † 21/04/1980 Bratislava). The jury, appointed by the Slovak section IBBY Council, in which are also representatives of Fund of Fine Arts, suggests the prize award. Ľudovít Fulla´s Award is handed-over at the same time with Triple Rose Award and the jury for both prizes is the same C:\Documenty\KPS-offline verzia 20130208\KPS-offline verzia\KPS-20130208\www.slovakia.culturalprofiles.net\index26e2.html. The appreciation for children´s literature is awarded since 1965 (in 1965 – 1976 the Prize of Fraňo Kráľ was awarded) and in 1977 the Ľudovít Fulla´s Award was separated like a separate prize for illustrative creation. The award bears the name of Marián Vaross Slovak relevant theoretician and art historian (*07/02/1923 Martin – †21/11/1988 Bratislava). It is awarded by Association of theoreticians, critics and historians of fine art and by the Fund of Fine Arts to author (or to author´s collective) the work or file of study works of which contributes to development of art science in Slovakia (in area of fine art theory, criticism and history). The prize is awarded annually; it may be awarded also in memoriam. It is awarded by the Association of theoreticians, critics and historians of fine art after reconciliation by the Council of Fund of Fine Arts. The association members submit the suggestions for its award. Martin Benka´s Award is granted yearly since 1973 in memory of Martin Benka Slovak significant painter, graphic artist and illustrator (* 21/09/1888 Kiripolec, today Kostolište – † 28/06/1971 Malacky). It is intended for fledgling also established visual artists and art theorists. The Council of Fund of Fine Arts awards it on the basic of recommendation of commission for administration of estate of Martin Benka at the Fund of Fine Arts. The prize is awarded in four categories: for visual work in area of painting, sculpturing and graphics, for a work of area of theory, criticism and history of the Slovak Fine Arts, prize to a graduate of a college of fine art, prize to a graduate in art history. The particular professional organizations or individuals present suggestions for prize award. It is awarded annually since 2003 as honour to Prof. Ing. Arch. Martin Kusý (* 14/11/1916 Dobroč – † 24/02/1989 Bratislava) and to his architectonic and pioneer´s scientific work. It is awarded by the Society of Architects of Slovakia and Fund of Fine Arts in these categories: for works in scientific and research area, in area of history, theory and criticism of architecture and for presentation in press; for presentation of architecture and architectonic creation in mass communication media, for noteworthy and systematic, popularizing, educational, editor´s and journalistic activity and publicistic genre or for an exceptional deed implemented in these areas. The specialist jury decide the prize award which is appointed by Presidium of the Society of Architects of Slovakia, the jury members submit suggestions. This award is expression of public recognition for translation of scientific and specialized literature, for lexicographic work and a work from area of translation theory, history and criticism. It is awarded by the council of section of scientific and specialized translation of the Literary Fund at the suggestion of specialized jury. The prize is awarded for: translation of scientific or specialized works from the foreign language into the Slovak one, from the Slovak language into the foreign language, translation of the Slovak part of a multilingual translation of a work; for lexicographic work; for a work from the area of theory, history and criticism of translation. The prizes are awarded in a yearly or two-year periodicity. Annually the prize is awarded for translation from a foreign language into the Slovak language in the categories: social sciences, natural and medical sciences; works of interdisciplinary and encyclopaedic nature. Every two years in even years of publication the prizes are awarded in categories: translation from the Slovak language into a foreign language; a work from the area of the translation theory, history and criticism; in the uneven year of publication in the category: lexicographic work. The prize may be awarded also for lifelong translator´s work and for the lifelong work in area of the translation theory, history and criticism. In every category the premiums may be awarded to the authors. The Honour of the Literary Fund resp. Recognition of the Literary Fund to publishers of appreciated and further remunerated works are warded. The natural and legal persons present the suggestions for award of prizes and premiums in particular categories. The council may award Certificate of merit and Literary Fund plaquette to the presenter which is a foreign national. This honorary appreciation is awarded by the minister to the natural persons (to individuals and collectives) and legal persons (artistic institutions and the like) for exceptional creative or lifelong contribution in particular areas of the art: it may be awarded also in memoriam. The prize is awarded for an exceptional contribution in area of: original literature and translation creation, theatre and dance, music, fine art and architecture; of audio vision, for propagation of goodwill of the Slovak art in abroad; for long-term or lifelong contribution in area of art; for art support, art presentation and promotion. The suggestions for prize award are submitted by specialized and artistic institutions, professional civil associations or other non-profit and welfare organizations of the given area, by natural persons, bodies of state administration and self-administration, formations of the ministry of culture and advisory bodies of minister or the minister awards prize from own incentive . The submitted suggestions are judged by rating commission composed of specialists and artists, representatives of organizations in establisher´s competence of the Ministry of Culture and by employees of the Ministry of Culture. The commission´s conclusions have a character of recommendation for the minister. The minister may award at most 12 prizes annually. The Tatra Bank Foundation Award for art is awarded since 1996 with an objective to appreciate the talent and creation of the Slovak artists and to support morally also financially the art development. So the Tatra Bank Foundation motivates the artists and it incites a rise of new projects in all artistic genres. It contributes to the development of artistic creation by awarding the established artists but also by supporting the young talents. 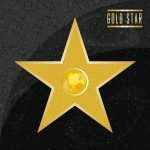 Appreciations are awarded in six categories: audiovisual creation, film (feature film, documentary and animated ones), television (dramatic, amusing and publicist formats. audiovisual work, video- clips, fiction or non-fiction) and broadcasting; theatre (opera, drama, ballet, musical – performance, direction, dramaturgy, stage design, costumes and other); music (opera, serious, alternative and popular music – interpretation performance, composition of music work innovative contribution for topical scene of the Slovak music and other); literature (poetry, prose, literature of fact and other), fine art (graphics, photograph, painting, sculpture, multimedia, installations); design (industrial design, product design, design of useful art, e. g. textile, jewel and other). In each category Main Prize is awarded (to an artist of over 35 years of age) and one special prize Young Creator (to an artist in an age from 18 to 35 years), and the Young Creator special prize laureate may obtain the Main Prize later. The individuals also multimember groups or teams may be nominated for awarding. The members of Academy (all living laureates which obtained the Tatra Bank Prize for art since its origin in 1996) submit recommendations for awarding both prizes and nominations in all six categories. The jury, which is composed of artists, art theorists, college pedagogues and specialists from various artistic genres, chooses the laureates of both prizes in individual categories. In the Main prize one Statue of Muse in every category and one plaque in Young creator special prize are awarded. Pavol Tonkovič´s award belongs among annual pries of the Musical Fund. It is awarded for original deed and contribution in area of the Slovak musical folklore to the individuals also collectives. It was founded in 1991 in memory of Pavol Tonkovič conductor, composer and folklorist (* 13/01/1907 Podkonice – † 22/05/1980 Bratislava). The council of the Musical Fund on the basis of suggestion of Music Folklore Association decides the prize award. Annually it is awarded to a personality of foreign Slovak studies, to a foreign translator of the original Slovak literature and to its promoter and it represents the highest award in this area. The translator must to publish his translation in the foreign language in abroad. The P. O. Hviezdoslav´s Award exists since 1972. In 1972 – 1974 it was awarded by the Ministry of Culture, since 1975 by the Writer Union, after 1989 it was awarded by the Association of Organizations of Slovak Writers and Association of Writers of Slovakia, in the present day by the Association of Organizations of Slovak Writers. The member organizations of the Association of Organizations of Slovak Writers but also followers of the Slovak literature nominate the translators. The specialized jury, which is established by the Council of Organizations of Slovak Writers from the representatives of particular member organizations, judges and evaluates the nominated translators and their translations. The committee of section for journalism and journalistic photograph of the Literary Fund awards this prize for significant contribution in area of journalism since 2016. It is awarded for many years journalistic creation at high professional level, reflecting the values, principles and ethic rules of journalist´s activity. The prize may be awarded also in memoriam. The suggestions for prize awarding are submitted by members of the committee of section for journalism and journalistic photograph of the Literary Fund which will choose also the laureate then. Literary Fund, Slovak section of IBBY and BIBIANA (the International House of Art for Children) award annually the prize for an excellent literary work or a literary- critical one which significantly contributed to development of the Slovak literature for children and young people. The prize may be awarded also in memoriam. The prize award is suggested by jury nominated by the committee of Slovak section of IBBY in which there are also representatives of Fund of Fine Arts. The Triple Rose award is handed-over simultaneously with Ľudovít Fulla award; the jury of both prizes is common. The Vojtech Zamarovský´s prize is annually awarded by Club of Fact Literature Writers for permanent contribution into the literature of fact. The prize is awarded since 2000. It represents the highest award for amateur theatre people in Slovakia. It is awarded at the Scenic Harvest in Martin, at the top show in area of professional theatre in Slovakia (show of winners of state-wide shows of all kinds and categories of amateur theatre – of dramatic theatre, alternative theatre, poetry theatres, of theatre of children´s dramatic creativity, reciters and soloists with scenical miniatures).The appreciation is awarded since 1976. The best amateur theatre collectives are among its holders. The prize is awarded by the committee of section for scientific and specialized literature and computer programmes of the Literary Fund at the suggestion of specialized juries of individual categories. It is awarded for excellent original bookish scientific and specialized works published in the first edition in previous year in four categories: social sciences; biological and medical sciences; natural and technical sciences; encyclopaedic and dictionary literature. Also premiums are awarded in particular categories. Since 2001 the Art Film Fest MFF awards the Golden Camera prizes to the domestic and foreign film creators of various professions for distinctive contribution into the cinematography. For the first time this appreciation was awarded to Martin Hollý director and Pavol Branko film theoretician and critic for lifelong work and contribution into the Slovak cinematography; relevant Slovak film creators are further holders of this prize. Awards and premiums for theatre creation, broadcasting creation a dubbing are approved by the committee of section for the creative activity in area of broadcasting/radio, theatre and entertainment art of the Literary Fund in cooperation with corresponding artistic associations. The committee approves: prizes for lifelong work; annual prizes and premiums for excellent performances of artistic mastery in area of musical-dramatic and dancing theatre, of puppet theatre, alternative theatre, of the musical, artistic recitation, radio creation, dubbing (resp. also for translation and dialogue adaptations onto the Slovak version of audiovisual works) and for the actor´s performances in television creation. The prizes and premiums may be awarded to the creators, performing artists and translators and adaptors of dialogues onto the Slovak version of audiovisual works. The proposals for prize and premium awarding are submitted by: theatres in Slovakia by means of professional artistic associations; Association of Radio Creators; dubbing studios; particular televisions; dramaturgies of Slovak televisions; other artistic institutions, alternatively the individuals and members of the committee of section for creative activity in area of radio, theatre and entertainment art of the Literary Fund. The submitted proposals will be judged by the committee of section and it decides the prize and premium award. Also a bronze mask is the part of award for lifelong work. The SOZA Awards are public recognition for contribution of musical work authors which are particularly successfully applied in the musical life in Slovakia. The Slovak author´s protective union for rights to the musical works as establisher of the SOZA Awards supports this way the development of domestic musical culture. The SOZA prizes are awarded in the categories: for composer of the most played musical works; for lyricist of the most played musical works; for the most successful young author; for the most played composition; for sound carrier; for audiovisual carrier; for significant share of presenting the domestic creation in abroad; for the highest share of domestic repertory in broadcasting; Notation into the SOZA Golden Book; SOZA Grand Prix. The statistical results in the course of past year are decisive at the prizes award. The supervisory council of SOZA decides the Notation into the SOZA Golden Book and the Grand Prix of SOZA and also the SOZA Award for relevant share of presenting the domestic creation in abroad (with considering to the statistical results). The Notation into the SOZA Golden Book and the Grand Prix are honorary prizes, the first one is awarded in memoriam to the author, to the SOZA member which did his best in the development of Slovak musical culture by his creation; the second one is a prize for lifelong work and it is awarded to a living author, to a SOZA member that influenced by his creation significantly the development of Slovak musical culture. DOSKY (Plates) theatre awards of season awarded by the Association of contemporaneous theatre are handed-over since 1996. These prestigious appreciations may be awarded to the productions and performances of all genres which had premiere in professional theatres in Slovakia in previous season (dramatic theatre, opera, musical, puppet theatre, ballet also contemporaneous dance). They are awarded to the creators in eight categories: the best staging, the best direction; the best woman´s actress performance; the best male actor´s performance; the best scenography; the best costume; the best scenic music; discovery of season. The prizes are awarded on the basis of an inquiry of Slovak critics – of theatre theorists, journalists and publicists; the organiser cooperates with AICT (International association of theatre critics) Slovak Centre in specialized respect. Silvia Hroncová, René Parák and Zuzana Uličianska are the authors of the DOSKY project. A wooden board with silver-plated label is the award for it, Aleš Votava theatrical designer is author of its design , Tomáš Lupták academic sculptor is author of realization . The ceremonial takes place in Nitra Theatre of Andrej Bagar at the beginning of Theatrical Nitra festival. The prestigious Crystal Wing awards are awarded to the personalities of societal, cultural, economic and public life yearly since 1997. At the present day they are awarded in categories: philanthropy, economy, medicine and science, sport, journalism and literature, theatre and audiovisual art, fine art, rock, pop and jazz, music and an extraordinary award for lifelong work, for extraordinary success in abroad or another relevant deed. MSc Tech. Mária Vaškovičová is author and producer of the project of awarding of Slovakia personalities with Crystal Wing prize. The selection of nominations is based on the suggestions that are sent by public. The specialized juries will choose three final nominations in particular categories and the main jury chooses the Crystal Wing laureates. The Crystal Wing laureates receive a glass small sculpture of which author is Achilleas Sdoukos artistic glass-maker and designer. This appreciation is awarded by Headquarters of popular artistic production (ÚĽUV) in Bratislava to popular-artistic producers for artistic contribution and exceptional results at developing a concrete production procedure of popular-artistic production and traditional crafts at the present day (production of textile sewn products of woven textiles, of laces and embroideries of traditional patterns; traditional weaving from wool, cotton and linen, products of wool; artistic processing and decoration of leather; artistic treatment and production of metal; artistic working and production from wood; pottery, majolica production; production from husks, wicker and the rest of natural nettings; painted Easter eggs production; honey cakes production; jewel production; paintings on glass; production of national costumes, clothing accessories and embroideries and other). Honour titles are awarded since 1959, from 2014 they are awarded by the Ministry of Culture of the Slovak Republic and Headquarters of popular artistic production on the basis of suggestions of commission for appreciation awarding. Honour of Saint Gorazd is a moral appreciation of Natural Educational Centre in Bratislava which is awarded to the individuals, collectives and institutions for significant share in the development of education, local and regional culture, of interest education, artistic creation and interpretation, for relevant share in protection and presentation of national and Christian cultural heritage. It is awarded to the individuals on occasion of anniversary of acting in area and field of activity (at least 20 years) and on occasion of life jubilee; to collectives and institutions on occasion of the founding anniversary (at least 20 years) and for achievement of an extraordinary success, for an extraordinary performance. Suggestions for appreciation awarding are submitted by cultural institutions, organizations and individuals and they are judged by the commission for appreciation awarding. The appreciation is awarded since 2014 and it is composed of medal (Marián Polonský academic sculptor is author of its fine art solution) and certificate. The „Sun in net“ prize is an award for the best quality films and creative performances in the Slovak cinematography. It represents a pendant of national film awards (Oscar in the USA, Caesar in France, David in Italy, Czech lion in Czech Republic). The award name was chosen according to one of the best Slovak films: „Sun in net” of Štefan Uher director which is considered for the first evident impulse of Czechoslovakian new wave of the sixties. The prizes are awarded by the Slovak Film and Television Academy (SFTA) associating relevant personalities of the Slovak audiovisual culture in 17 categories: the best feature film; the best documentary film; the best animated film; the best filmic direction; the best film screenplay; the best cameraman´s performance; the best film cut; the best film sound; the best film music; the best architect – scenographer; the best costumes; the best masks; the best woman´s actress performance in leading role; the best woman´s actress performance in secondary role; the best male actor performance in leading role; the best male actor performance in secondary role; for exceptional contribution of Slovak cinematography . For the „Sun in net” award the producers or Slovak coproducers of corresponding work register particular works and with them connected creative performance. The members of Academy choose the nominations also laureates in particular categories. The presidium of Academy determines the laureate of category for exceptional contribution to the Slovak cinematography on the basis of suggestions of Academy members. Juraj Herz has been the first laureate in 2004 which received a prize for exceptional contribution to the Slovak cinematography. The prizes in competitive categories are handed-over since 2006 (the Academy appreciated with them the filmic creation for previous 2 years 2004 and 2005), up to 2016 they were awarded every second year, since then they are awarded annually. Oliver Leššo glass-maker is author of fine-art design of the prize. It has been established in 1972 on occasion of the International Year of Book and of hundredth anniversary of birth of Ľudmila Podjavorinská woman writer as an appreciation for the individuals, collectives or institutions for merits for propagation of the Slovak children´s literature in abroad. In two-years intervals the Minister of Culture of SR awarded the prize at the suggestion of the committee of Slovak section of IBBY and publishing house Mladé letá (Young years). Since 2003 the BIBIANA international house of art children and the Slovak section of IBBY (International Union for Children Book of the UNESCO off-governmental organization) award it occasionally for merits in development of the Slovak literature for children, for penetration of Slovak children´s books into abroad and for translation of Slovak children´s books into the foreign languages. It may be awarded also to foreign nationals and collectives or institutions in abroad; it can be awarded also in memoriam. The proposals for the plaque award are submitted by the organizations of the committee of Slovak section of IBBY, which decide the plaque award, and by the individuals. It is awarded annually by the committee of section for journalism and journalistic photograph of the Literary Fund at the suggestion of specialized jury. The prizes are awarded for noteworthy creative performances in area of press and electronic media published in previous calendar year. The prize is awarded in three categories: journalism (press, Internet media, radio and television); news (press, Internet media, radio and television and news agencies) and journalistic photograph. In every category the premiums are awarded. The editors-in-chief, departments of journalism and members of the committee of section for journalism and journalistic photograph of the Literary Fund and the authors themselves make proposals. Also competitive works in the language of national minorities with enclosed translation into the Slovak language can be submitted. The submitted suggestions are judged by the jury which is established by the committee of section for journalism and journalistic photograph. The judge proposal is approved by the committee of section and it has right to not award some of prizes or premiums, to enlarge the number of premiums, resp. to shift the premium into other category. Association of Slovak Film Clubs (ASFK) is the greatest distributor of art club cinematography in Slovakia and organizer of two largest moving film shows in Slovakia: the project 100 and Febiofest. 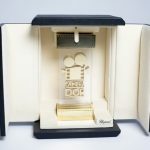 The annual prizes of the ASFK are recognition for active specialized activity in area of Film clubs; their mission is to increase the awareness and interest in non-commercial cinematography and alternative distribution in the society. The annual prizes of the ASFK are awarded in these categories: the best film club (for past year); the best club film (for past year); contribution to world cinematography and for contribution to the Slovak cinematography and club movement. The representatives of film clubs decide the winners by voting. The holders of award in all categories receive glass film disc by Paľo Mach Slovak visual artist. The prizes are awarded since 2009 and they are handed-over at the opening ceremony of the International Festival of Film Clubs of Febiofest.